“Service before self. 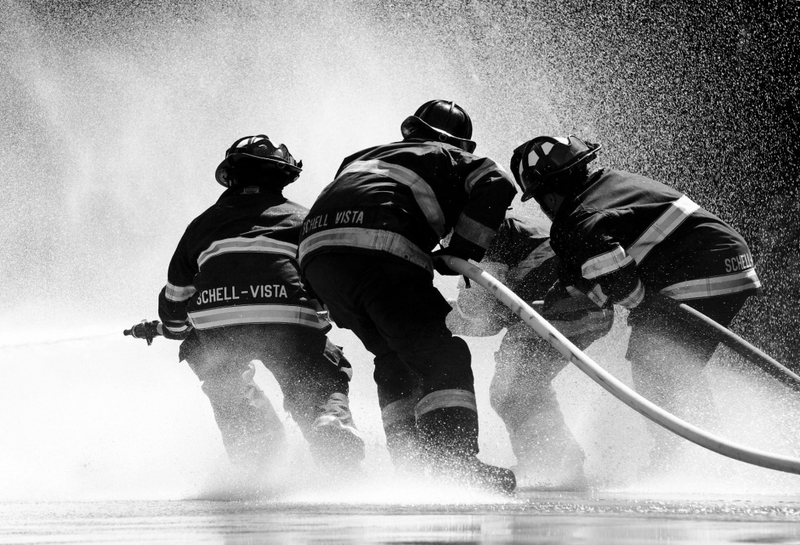 These three words speak volumes about one’s personal beliefs, decision-making, and commitment to a specific cause.” An article by FireRescue Magazine delves into the firefighter’s oath and what it means to serve others. Upon entering the fire service, many firefighters take a version of this oath. In doing so, they promise to protect the community and commit to service before self. At Unitek EMT, we recently started a series that sheds a light on EMS personnel. In this second installment, we’re going to take a closer look at firefighters. Our information comes directly from the U.S. Bureau of Labor Statistics (BLS). They are the principal federal agency responsible for measuring labor market activity, working conditions, and price changes in the economy. 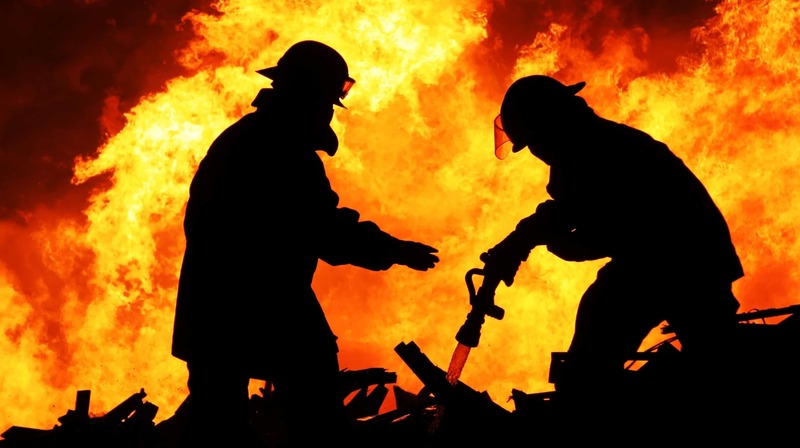 According to the BLS, firefighters “control and put out fires and respond to emergencies where life, property, or the environment is at risk.” When responding to fires or other emergencies, the work can be very dangerous. When not at the scene of a fire, they are usually on call at fire stations, where they may eat, sleep, or perform other duties. How Do You Become a Firefighter? Firefighters usually need a high school diploma as well as training in emergency medical services. As stated by the BLS, most firefighters undergo training at a fire academy, pass written and physical exams, complete several interviews, and produce Emergency Medical Technician (EMT) certification. Why Should You Work as a Firefighter? Like EMTs, firefighters perform an invaluable service and routinely save lives. Their occupation is a noble one, and it will always be necessary for the safety of the community. According to the BLS, employment of firefighters is expected to grow 7 percent by 2026. Thanks to better building materials and building codes, there has been a substantial decrease in fires and related fatalities. However, firefighters will always be needed to respond to fires and medical emergencies. Because fires can spread quickly, it’s vital that they be controlled in as little time as possible. Additionally, wildland firefighters also fill a critical role. A typical day is often unpredictable, as it greatly depends on the number and type of calls they receive. While on call at a fire station, firefighters often inspect equipment, perform practice drills, and occasionally eat or sleep. Their shifts usually last for 24 hours. + “Wildland firefighters are specially trained firefighters. They use heavy equipment and water hoses to control forest fires. Wildland firefighters also frequently create fire lines—a swath of cut-down trees and dug-up grass in the path of a fire—to deprive a fire of fuel. Are you interested in becoming an EMT or a firefighter? If you’re considering a career as a firefighter, you will likely need to obtain EMT certification first. At Unitek EMT, we offer an accelerated EMT program. Experts in the EMS field educate our students through a combination of traditional learning, simulation training, and workshop-style classes. Additionally, we offer a program with several variations to better accommodate our students. These variations include a 14-Day Boot Camp1 at our facility in Chandler, Arizona, and a Boot Camp at our Fremont Campus in Northern California. In California we offer AHA Basic Life Support (BLS) courses for professionals to learn or recertify for CPR, while others enhance their skillset with our Advanced Cardiac Life Support (ACLS) course. Our Arizona students can attend American Heart Association (AHA) CPR courses or a stellar EMT Refresher course. This course is a combination of the traditional EMT Refresher—it includes all core material—and the NCCP National Registry 20-hour requirements, but it is presented in a 30-hour format. Additionally, a BLS course is also offered at the Chandler facility. If you’d like more information, please contact us toll free at 888-790-1458. Change your future with Unitek EMT! 1 Our 14-Day EMT Program in AZ and the 14-Day on-ground portion of the EMT Program in CA are taught in an intensive “boot camp” style, to simulate the fast pace of work expected on the job as an EMT. The California EMT Program also includes online instructional hours.